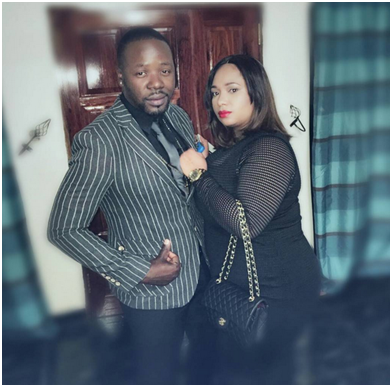 After a day of high drama that saw Olinda Chapel threaten to commit suicide and wash Stunner’s dirty laundry live on Facebook, the flamboyant rapper drove back home in the evening and appears to have made up with his wife. Olinda broadcast her heartbreak Live on Facebook detailing how she had spent a fortune buying expensive cars, clothes and shoes for Stunner, only for the “Team Hombe” hitmaker to allegedly cheat with an 18 or 19 year-old girl. But by the evening Stunner had driven back home and was Snap-Chatting from the same home in which his awards were being smashed to pieces by an angry Olinda.Stunner even managed to crack jokes about the day’s events with Olinda holding back an embarrassed smile. He went through his wardrobe reminding Olinda that she had told the world she bought all his clothes for him. While its not clear whether the two are back together again, one thing is clear, Stunner is back home and trying to work things out with his wife.